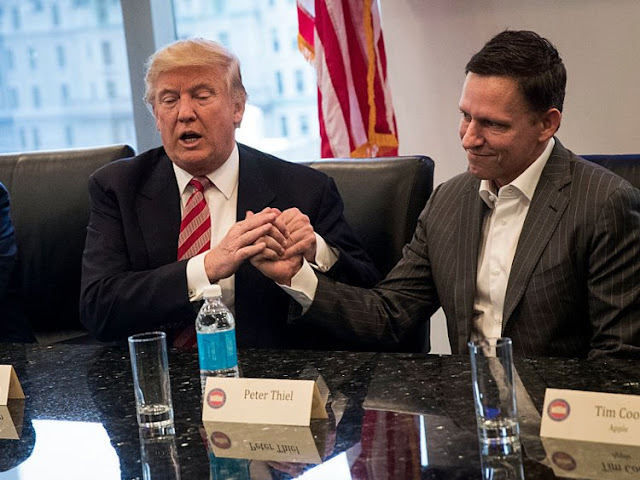 Billionaire Peter Thiel is leaving San Francisco and will relocate his personal funds Thiel Capital and the Thiel Foundation to Los Angeles in the next few months, reports Bloomberg. Thiel’s 50-person staff will also relocate, one of the people said. They asked not to be identified talking about private plans. One of Thiel’s newest and most-ambitious projects is creating a conservative media empire -- an effort that will be easier to accomplish in L.A., according to Bloomberg.